I have four kids and we've been doing Easter Egg Hunts and Easter crafts and activities every March or April for the past ten years. I could probably execute an Easter Egg Hunt in my sleep. 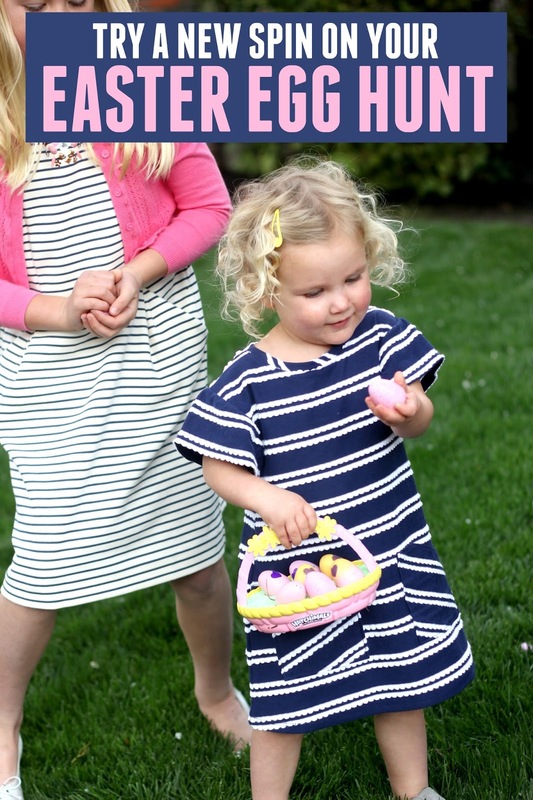 They are usually the same every time and involve stuffing crackers or small bags of candy into plastic eggs and hoping that they don't pop open before the kids find them! 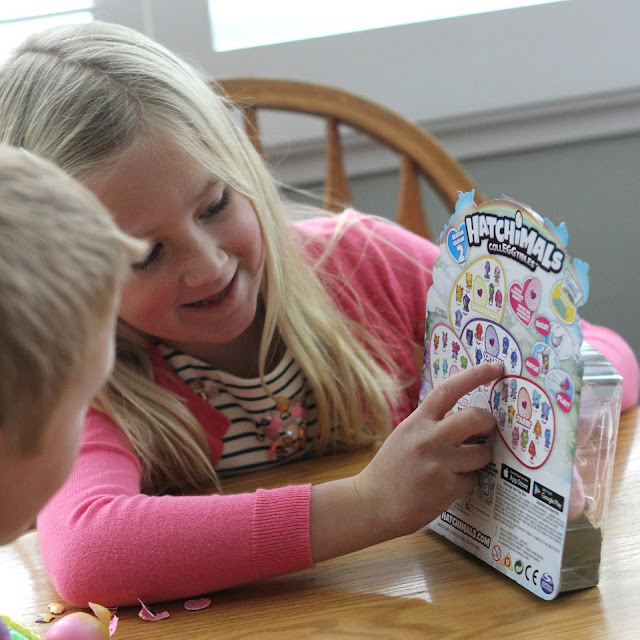 This week we are partnering with Spin Master to share how we are putting a new spin on our Easter Egg Hunt using Hatchimals CollEGGtibles. 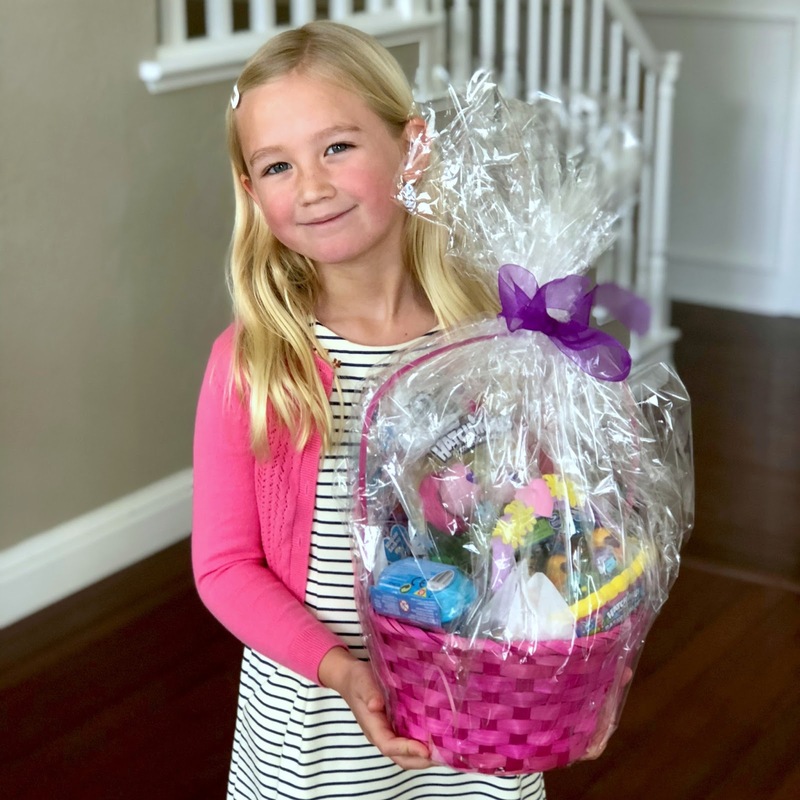 Hatchimals CollEGGtibles have made our Easter Egg Hunt easier and more exciting! 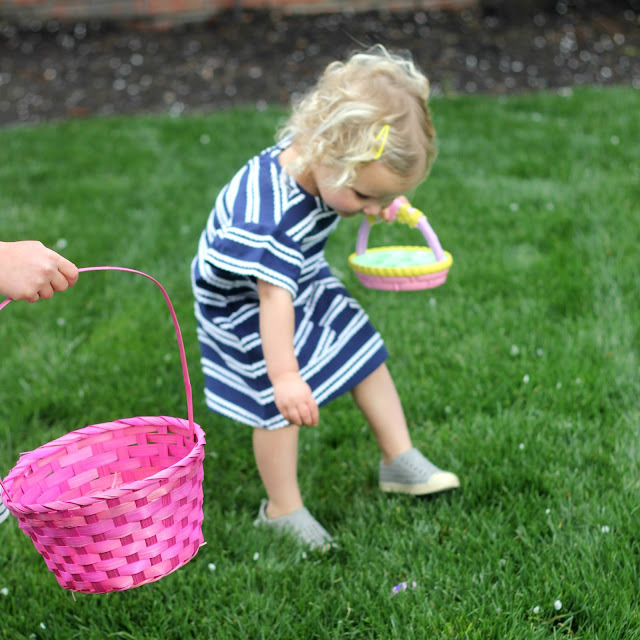 Usually when we plan out our Easter Egg Hunts, we head to the store ahead of time and grab bags and bags of candy and snacks and a bunch of plastic eggs. 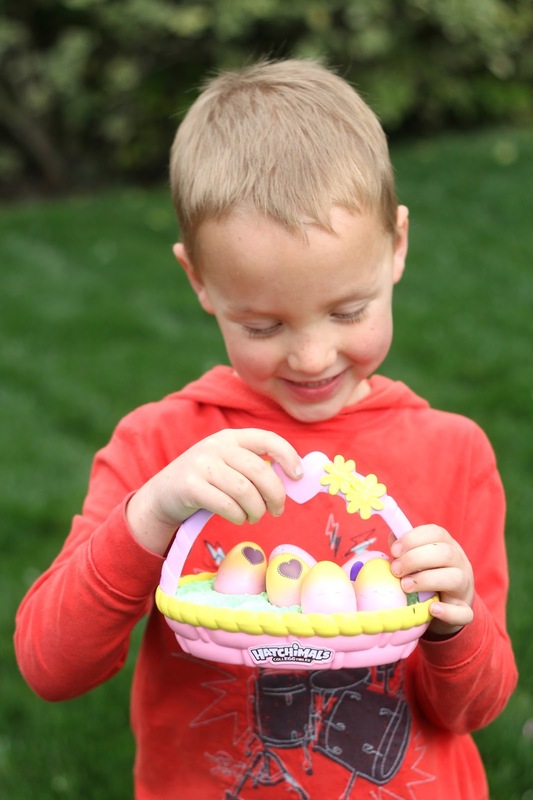 For this simple Easter Egg Hunt that we are trying this week, the only thing you need to grab are some Hatchimals CollEGGtibles. 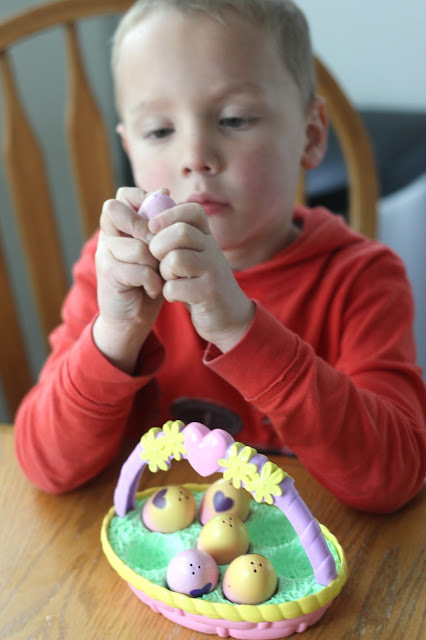 We used a Hatchimals Spring Basket for each child and we also used a few Hatchimals CollEGGtibles that came in the 12 pack egg cartons. The kids thought they were really cool because they looked like egg cartons and easily stored all of their Hatchimals CollEGGtibles. I loved that there was no assembly required and that once we had the Hatchimals CollEGGtibles we were ready to rip them open and start hiding and hunting! After you get your supplies ready, you need to select someone to hide the eggs! 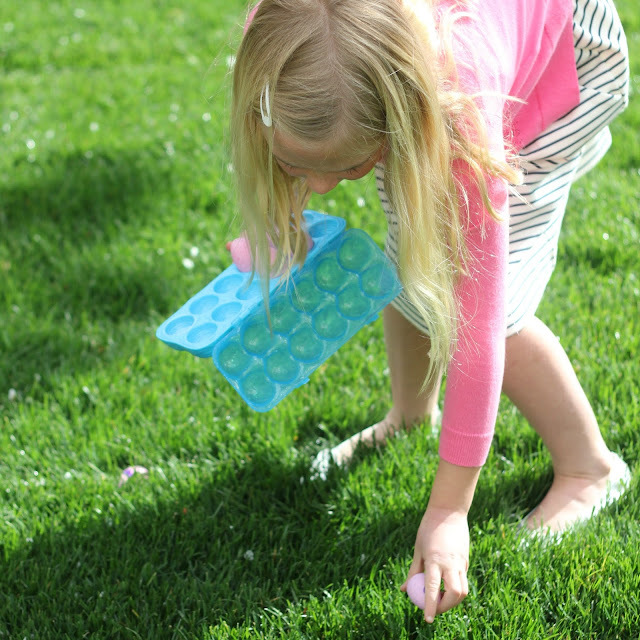 For years I always hid the eggs... and then I discovered how much my older kids LOVE hiding the eggs, so now it is their job! They hid the Hatchimals CollEGGtibles in easy to find places for my toddler and harder places for my preschooler. As soon as all the Hatchimals CollEGGtibles were hidden, the toddler and preschooler raced outside to start hunting! 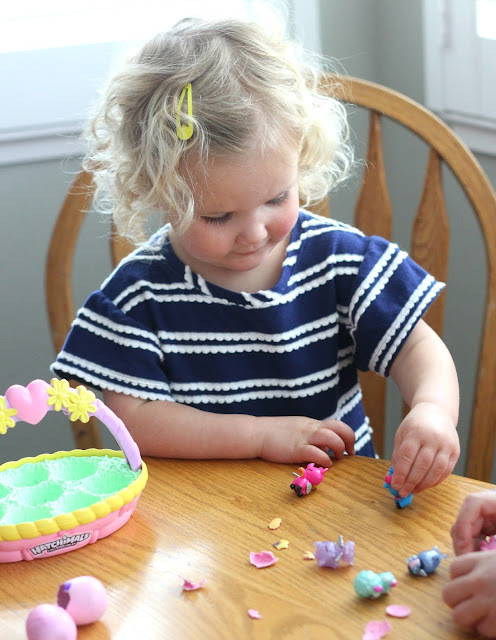 The Hatchimals CollEGGtibles Spring Baskets have little spots in the baskets for the Hatchimals CollEGGtibles to go in to, which made collecting so easy and fun for my toddler. She loved finding the perfect spot in the basket for each one. Once all of the Hatchimals CollEGGtibles were collected, we raced inside to check out what we found. I loved that the kids weren't guzzling down jelly beans! They were so focused on hatching their Hatchimals CollEGGtibles! It was so cute to watch them work together and get so excited each time they hatched. Hatchimals CollEGGtibles have a little purple heart on each egg. The kids rub the heart with their fingers until the heart turns pink. This tells them it is ready to hatch! 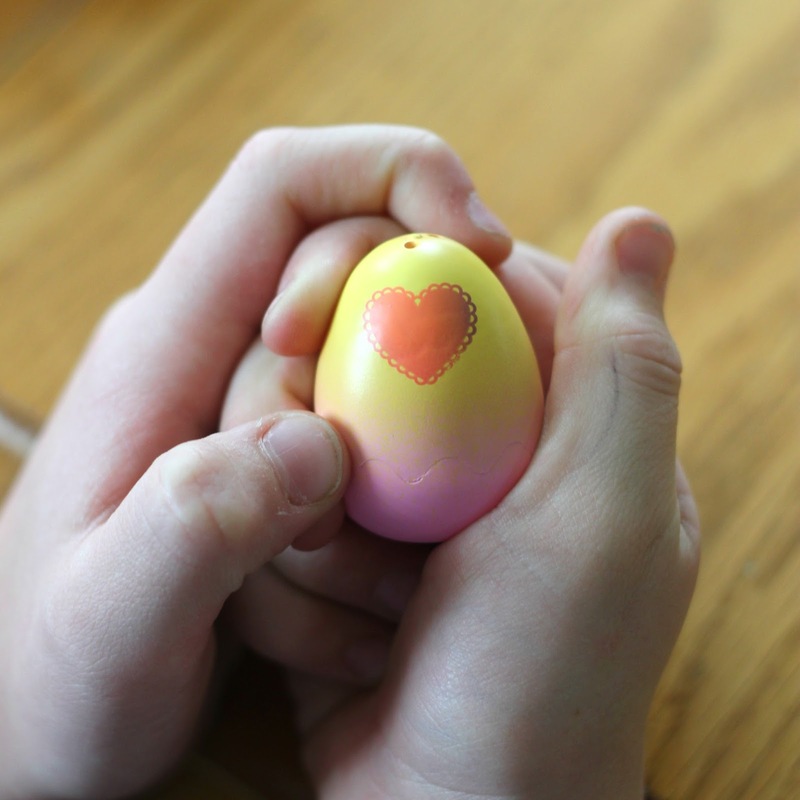 Then the kids push on the heart with their thumb and the egg slowly cracks. It is the coolest process and one that my kids wanted to repeat again and again! Inside each speckled egg is a little Hatchimal. There are so many different ones to collect! 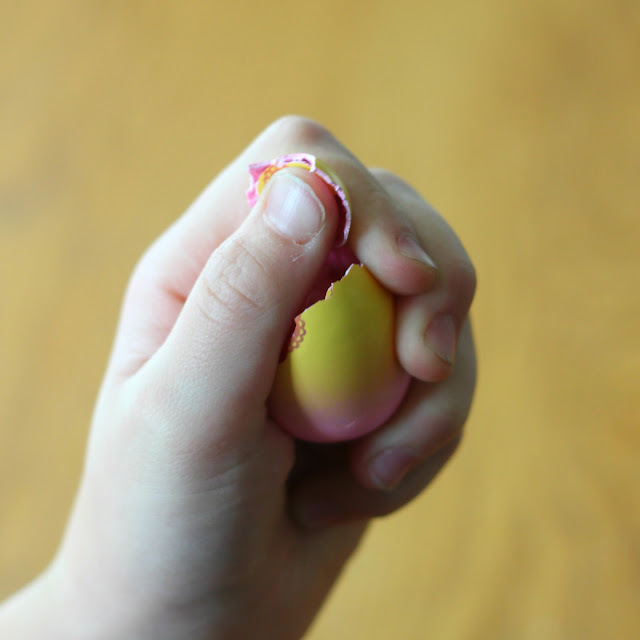 Each egg holds a surprise for the kids! The speckle on the egg tells your child what family the Hatchimals CollEGGtibles comes from. Kids can even use the collector’s list and map as a cheat sheet! 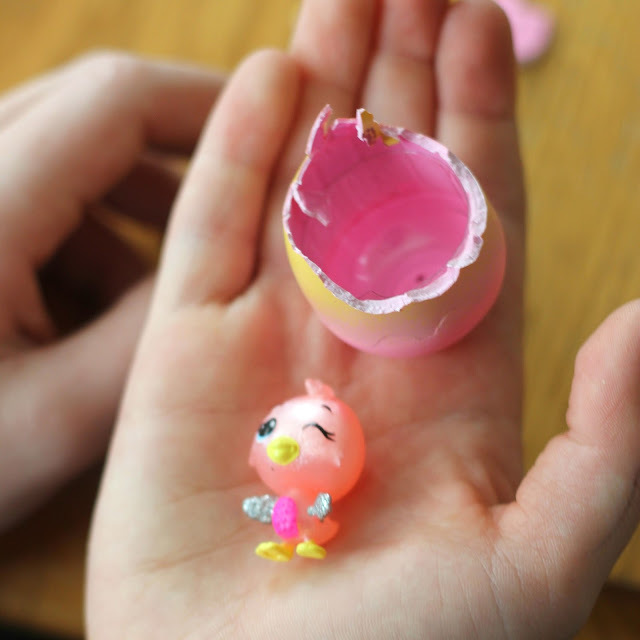 They can also create a nest for their Hatchimal by pealing down the egg shell until they reach the wavy line. After all of the Hatchimals CollEGGtibles hatched, my kids gathered their new little friends and went off and played with them together. 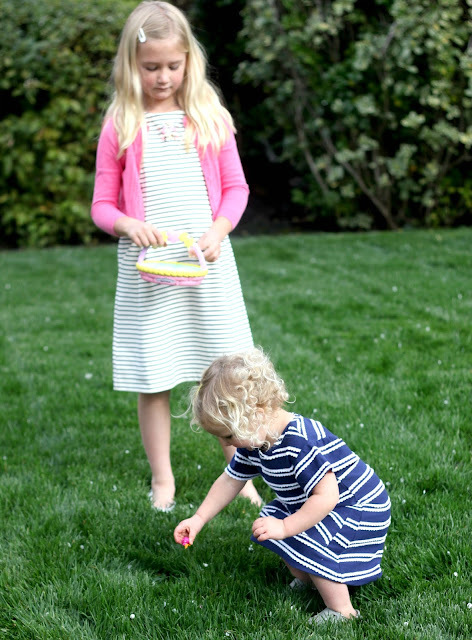 Usually at the end of an Easter egg hunt I am left with candy wrappers and hyper kids. I loved that at the end of our Hatchimals CollEGGtibles Hunt, the kids were off playing pretend with each other and their new toys. This new spin on our usual Easter Egg Hunt helped us use our imaginations better and helped keep things simple. We didn't even need any fake grass for our baskets! The Hatchimals CollEGGtibles playtime continued all afternoon and their new toys were placed right next to their beds for more play in the morning. Thanks to Spin Master for sponsoring this post and sending us such fun Hatchimals CollEGGtibles themed Easter surprises to enjoy! 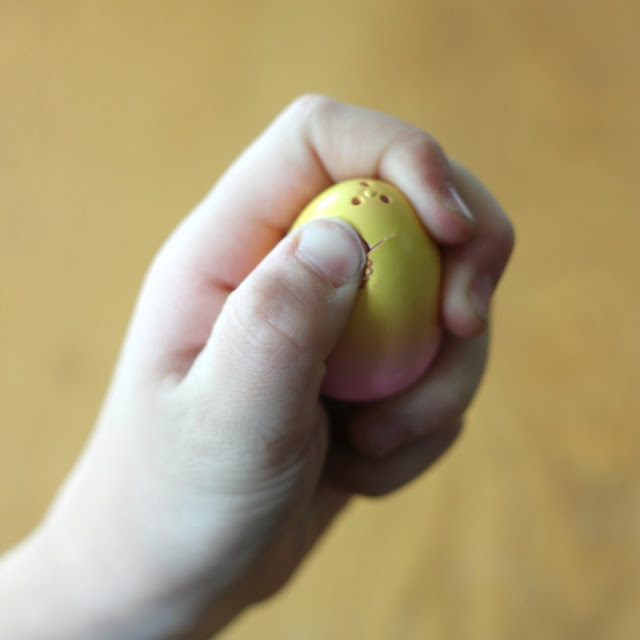 Do you have any other favorite ways that you like to simplify your Easter Egg hunts? 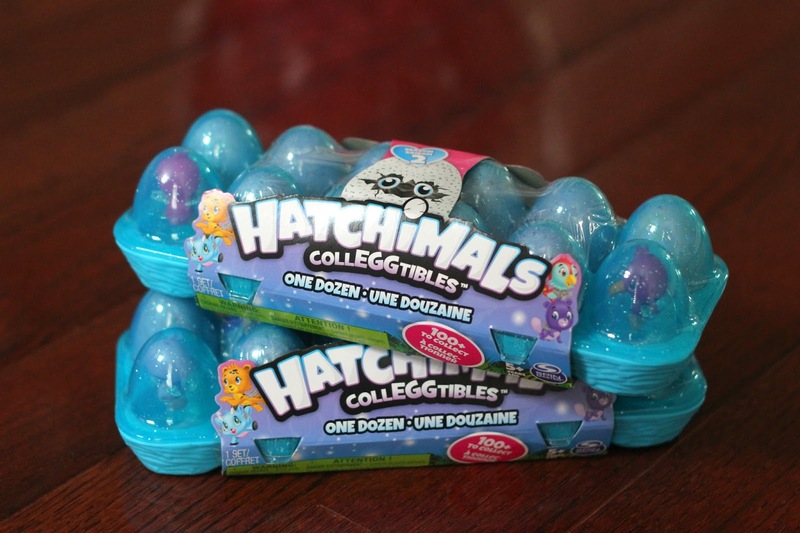 Have your kids collected any Hatchimals CollEGGtibles yet?